Байҡау ваҡытындағы күләм: 450 × 600 пиксель. Башҡа сиселештәр: 180 × 240 пиксель | 360 × 480 пиксель | 576 × 768 пиксель | 768 × 1024 пиксель | 1620 × 2160 пиксель. 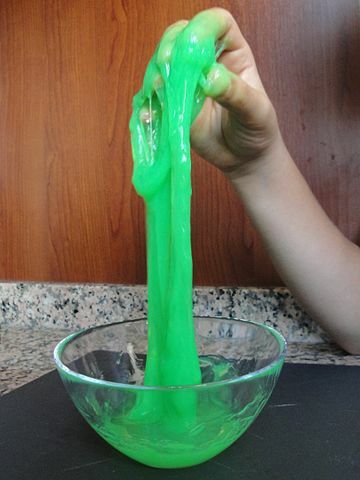 English: Slime activity. 1 teaspoon full borax, 50ml water based school glue, 200ml water, water based color. This produces a borax cross-linked poly(vinyl alcohol) gel.